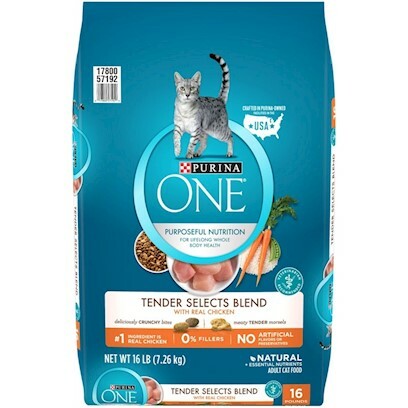 PURINA ONE TENDER SELECTS BLEND WITH REAL CHICKEN. I'm 50/50 on this product. Great food, my cat loves it! My cat and not like this product. Great product my cat loved it!! Great product with real meat you can see!! My cat devoured this cat food!